Ethical Living: Don't just #selfie, doodle selfie! Don't just #selfie, doodle selfie! 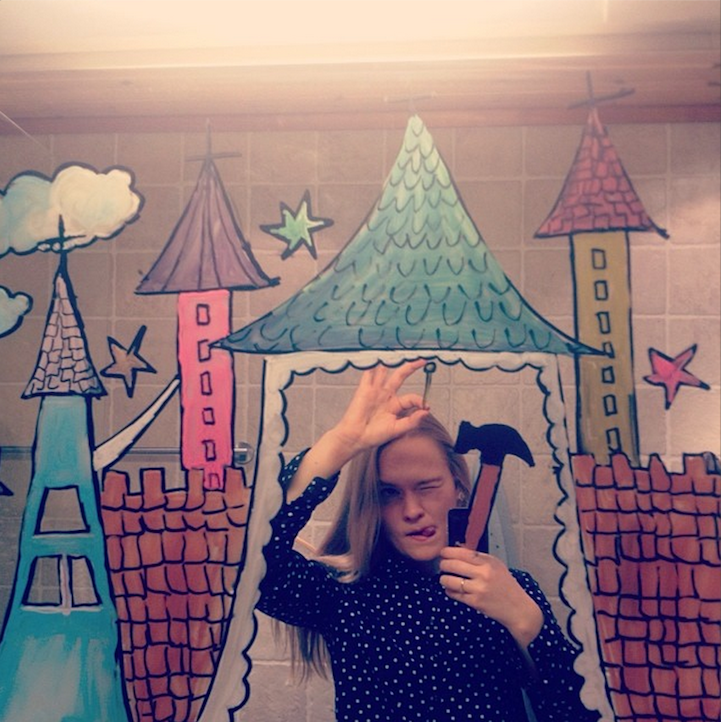 We are currently obsessed by 26 year old Norweigen artist Helene Meldahl (@mirrorsme) and her wonderfully imaginative doodle selfies. 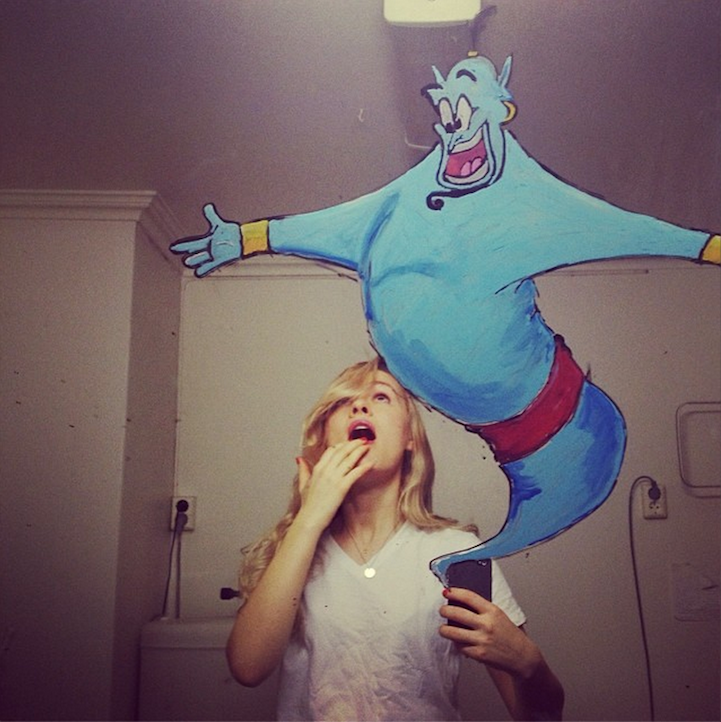 With really clever illustrations drawn on a mirror in either chalk or acrylic markers, the artist is able to take whimsical selfies to a new dimension. What we found particularly striking is the way Helene is able to camouflage her phone into the artwork, so you're barely able to see it, keeping the magic alive. 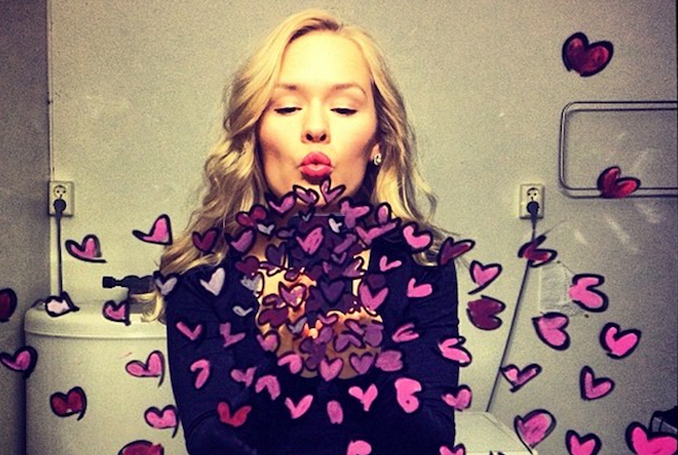 We stumbled upon Helene's instagram page and have been addicted ever since, her creations bring out the child in you. From Aladdin's Genie to Tinkerbell there is something really special about it which takes doodling and selfies to a whole new level!